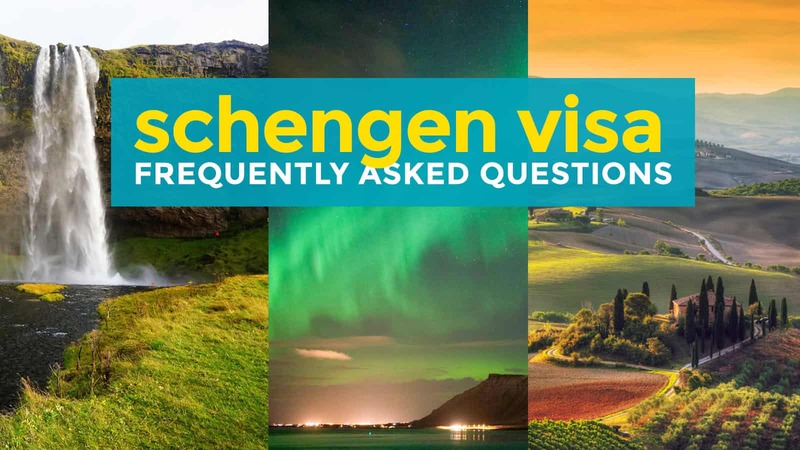 Since our two-month Euro tour, we have received tons of questions about getting a Schengen Visa. It’s quite expected. Europe is a dream destination for many, and the Schengen Visa is probably the most complicated visa there is. 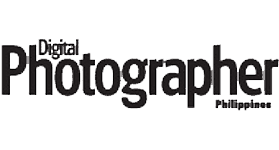 In this article, we’ll try to answer the questions we have been asked the most as adequately as we can. However, bear in mind that we are writing based only on our own experiences and some contributions from our readers.  The goal is to help other applicants have a better picture of the process. But we encourage you to still contact the embassies for more updated info. Anyway, it’s gonna be a lengthy post, so let’s begin. Which embassy should I lodge my visa application? What if I’m spending equal number of days in different countries? What is the application process? What are the steps? 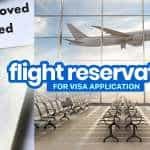 Do we need to book flights before applying for a visa? 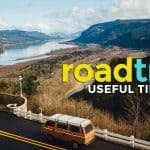 What does a detailed itinerary look like? If my application is approved, do I have to stick to the itinerary I submitted? What are the usual questions they ask at the interview? How soon do they release the visa after receiving my application? How much money should I have in the bank to be approved? I’m traveling to multiple cities. Do I need to submit train transfer and flight reservation within the Schengen area? I’m traveling to multiple cities. 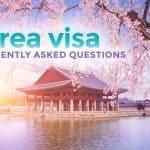 Do I need to provide hotel reservation for all the countries I’m visiting or for the embassy’s country only? The Schengen Visa is a travel document that allows the holder to enter any of the 26 states that are part of the Schengen agreement. Think of it as an almost all-access pass to many countries in Europe, eliminating the immigration borders within the Schengen zone and the hassle of having to apply for a visa for each individual country. Here they are, all 26 of ’em. If you’re visiting just ONE country, apply at the embassy of that country. If you’re visiting multiple countries, apply at the embassy of the main destination or the country where you will be staying the longest. If you will spend 3 days in the Netherlands, 3 days in Italy, and 5 days in France, apply at the French Embassy. However, some countries have additional rules. It is best to double check with the Embassy to be absolutely sure. This means if you’re spending 3 days in Germany first, then 3 days in Italy and 3 days in France, you should apply at the German Embassy. According to the Dutch Embassy website, that is. List of requirements is right here: Schengen Visa Requirements. I noticed that embassies are asking for almost the same requirements. There are little variations, though, so make sure you check with the embassy that will process your application. It varies from mission to mission. Some embassies, like the French and the Italian, employ a third party unit to handle most visa applications (VFS Global). Others, like the German Embassy, take care of ’em in-house. NO. Don’t book your flights yet. They only require flight reservations, not flight booking. Don’t pay for your flights yet. (Unless you grabbed promo fares at a seat sale.) Some travel agencies can reserve flights (often for a fee). We recommend Gazelle Travel and Tours, a DTI-registered DOT-accredited travel agency. You can get flight reservations, hotel reservations, and travel insurance from them online! The long answer is still YEEEEEEESSSSS. Some embassies, like the Italian Embassy, requires an additional 15-day coverage on top of the travel period. Make sure you know these little rules when purchasing travel insurance. You can simply purchase travel insurance online. I have tried Pacific Cross and had no problems with it. Their Executive Peso and Prestige Euro plans are both Schengen-Approved. You can book Pacific Cross travel insurance with Gazelle Travel and Tours too! 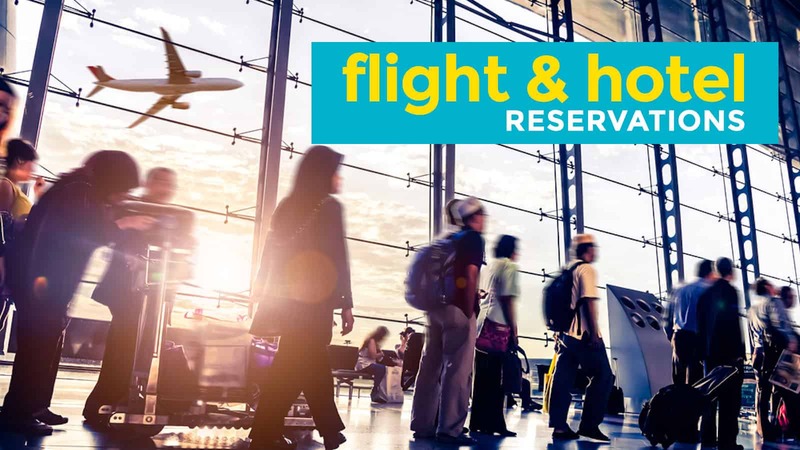 You can use the same form we made for Flight Reservations. Just tick TRAVEL INSURANCE in the checklist on the form. Yep. You can book via third-party websites, but book hotels with FREE Cancellation policy so you won’t be wasting money in case your visa gets denied. Yes, as long as it is within the Schengen Zone. Ideally, but not really. But because there are no checkpoints between countries within the Schengen Zone, there’s no way for them to check. You can deviate from your original itinerary if you want. We made a number of changes to our itineraries on the two occasions we visited Europe. But my only guidance is this: At your point of entry, know that you might be asked questions about your itinerary. At the very least, stay the longest in the country where you got your visa so you won’t run into trouble. They have the right to refuse entry even if you already have a visa. No. But I highly encourage you to provide one especially if there will be no interview. You can explain the purpose of your trip further. Here’s a sample. Yes, but some are more strict than others. For example, in my travel circles, the Italian and Spanish Embassies are notorious for being extremely meticulous, while the French, German, Dutch and Austrian Embassies are known for being more forgiving and considerate. That’s just according to my travel friends. Might not be true in some cases. Some embassies conduct a short interview, some don’t. Usually, when a third party company (like VFS) is involved, there will no longer be an interview. Here’s what I know so far: Do the following embassies usually conduct an interview? Again, usually. Some applicants will be called for an interview at the embassy when they need further clarifications. It really depends on many factors but mostly how strong your case is. In many cases, even when there is no interview involved, personal appearance is sometimes required. It’s best to check with the embassy to be sure. If the your embassy requires an interview or you are called for one, just answer their questions truthfully and confidently. Don’t lie. Most of the time, they will know. I asked my friends what were the questions thrown at them during the interview and here are the most common. True enough, when I applied for a Schengen Visa on two separate occasions, these were asked too. How long will you stay in (country)? What countries are you going to visit? Will this be your first time in Europe? What countries did you visit on your first trip to Europe and for what purpose? Do you know anyone in (country)? Do you know anyone in any other Schengen country?  Do you know anyone in the UK (United Kingdom)? How are you related to your companion? Does your company know you’re taking this trip? Do you own properties in the Philippines (home country)? my connections to anyone in Europe. In my case, I had none. I have no relatives or close friends there. my job and my rootedness in my home country. In both cases, they gravitated towards finding reasons for me to return to the Philippines. Again, answer truthfully and confidently. Note that these are just the common questions. They might still ask a lot of other questions relevant to your background and application. You can apply up to 90 days (3 months) in advance. While most embassies process applications relatively fast, it is wise to give some time allowance just in case something doesn’t go as planned (e.g. they ask for additional documents). I consider “a month before” too tight. Two months should give you enough time to secure a copy of all required documents and fix a problem should it arise. Depends on the embassy. 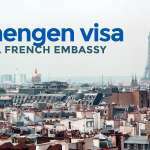 The French Embassy releases visas after 5-7 days, the German Embassy 7-14 days. Most of the time, the wait is shorter. Sometimes, when they have doubts, it can take longer. For example, when I applied for a visa for my second Euro trip, the German Embassy took only 6 days. My partner Vins, who was applying for the first time and didn’t submit an ITR, was asked to send more documents to prove his rootedness in the Philippines. He did submit the requested additional papers and finally got his visa after 3 weeks. On the other hand, I have a friend who applied via the Austrian Embassy and got her visa after only 3 days. So it really depends on the embassy AND your case. No one really knows for sure what the minimum amount is. But remember this: You will be asked to submit flight and hotel reservations and a detailed day-to-day itinerary. So here’s the rule of thumb. Add the cost of the flights you reserved and the cost of the accommodations and EUR 60 per day of your stay. What’s the EUR 60 per stay? Think of it as your pocket money. Embassies need to be assured that you can afford the trip. Some embassies require EUR 45 per day, some EUR50, some E55. To be on the safe side, use EUR60 per day. Let’s use this as example. Let’s assume that your roundtrip flight costs EUR1000 and your total hotel stay costs EUR1200 and you’re staying in Europe for 10 days. That’s EUR60 X 10 days = EUR 600. Of course, that can’t be the only amount in your account. You should have more than that. But my point is, don’t apply for a 10-day visit with only EUR 2000 in your bank account (using the example above). Depends on the itinerary you will submit and the embassy. 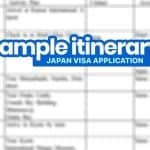 When I applied at and submitted a 5-day itinerary to the French Embassy, I was issued a visa that was valid for 15 days. When I applied the second time and submitted a 53-day itinerary to the German Embassy, I was given a visa valid for 60 days. When I applied at the Greek Embassy with an 11-day itinerary, I was given exactly that, 11 days. It’s not in the checklist when you fill the form online. I submitted transfer tickets when I applied, so I don’t know if it’s okay to not provide them. But according to some of our readers who recently applied, if you don’t print out the checklist, they will use the old list of requirements (which has more items) because they will attach a different set of checklist. In the old list, they will require a cover letter, birth certificate & photocopy of your passport. So make sure you print out both the checklist and the completed application form. If you’re staying at hotels, you must provide hotel reservation covering the entire duration of your stay. If you’re staying in multiple countries, you must submit hotel reservation for all the countries where you will be staying, not just that one country. Help us improve this post! If you have experienced applying for a Schengen Visa and you have more to add to this list, feel free to contribute information via the Comments Section below! Very useful post Yoshke! So glad to know that there are no interviews for Norwegian Embassy :) Hopefully, I get to travel to Norway and Iceland early next year! Have you heard of anyone being asked to report to the French embassy after the trip? Hi Joeybelles, yep. Me. Hahaha. I am supposed to go to France with my family (husband and daughter) on the 1st of December for a 10-day tour. When is the best time to set an appointment for visa application? The Italian Embassy requires a travel insurance coverage of 15 additional days over and above your desired length of stay. FYI. What are the different documents your partner submitted in lieu of his ITR? Thanks for your reply in advance. Thank you so much for your help. It’s really my first time and I can’t help but be nervous. Thank you, Yoshke. I’m a Marketing Manager. By the way, is it easier to get a visa if you have a proof of accommodation from a citizen? This is greatly appreciated. Saang embassy ka mag-aapply? Anong country? If you’re declaring you’re going to Europe to visit a friend, yes, it will help. If you’re going there as a tourist, I recommend that you just reserve a hotel. Embassies are often stricter sa applicants who have connections or kakilala in Europe than those na walang kakilala. By the way, I am a student so I just get a certification from my school regarding my status. Thank you so much. Sa French Embassy, Yoshke. They have declared full accommodation. Regarding the visa validity in this post, will you know immediately upon visa approval how long you are allowed to stay in the schengen territories? What if upon application i submitted a 10days itinerary, if ever approved, will they indicate there in my visa or passport- just 10days or a bit more days only? There will be no way for me to change it to 30days anymore if ever there will be changes in my trip? Not sure if it’s possible to extend or the process required for it. Hi guys! Im applying for a Schengen Visa over at the French Embassy. Is Agoda’s free cancellation policy really FREE (provided that I cancel on their specified “cancel for free before ____”)? Or would there be a surprise cancellation fee or other unprecedented fees? Dont know who better else to ask but you two. Thanks!! They required me to go back to their embassy in 2001 after I returned from my tour of France. When I got to their office, they got my passport, took it to their back office, then handed it back to me after stamping ‘Expired Visa’ on my visa. Me too. 2014 naman ako. Hi! I am an OFW. my concern is about the ITR. I don’t have one. What should I do? But I had a TIN when I was still working in the Philippines. Thank you for your blog. I read all of it including the comments. I was planning to apply for a Spain visa together with my mom and encountered this “Shengen visa”. 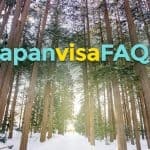 But after reading this blog, I realized that I don’t need to apply Schengen (maybe someday). I got relevant information I need. 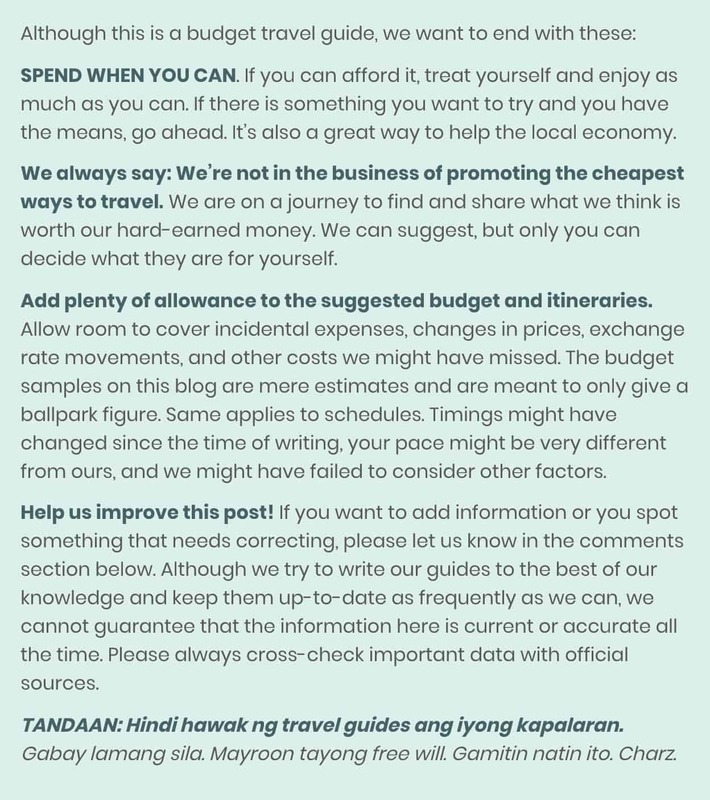 Your blog really helps (thou different destinations to take). I just worry that that my mom is a senior citizen and she do not have proof of ITR or COE.Please give good advice on what relevant documents should I present in support for her application. Hoping for your advice. Thank you! Hi Wilma, if you’re going to Spain, you will still need a Schengen Visa. As for the reqs for senior citizens, I really have no idea. :( But I’m guessing you can submit a copy of Senior ID and bank accounts. Perhaps the COE/ITR may no longer be required for seniors. Again, these are all a hunch. Best to coordinate directly with the embassy. Hi! I’m planning to visit my boyfriend in Belgium this year, may I ask if do I need to make my itinerary trip there for my visa application? Since I don’t have any plans once I get there. Also I will stay at his house so no need for hotel bookings. I just wanted to know thanks. What if we are four person is the interview for schengen visa is individually or a group? Hi. If you’re traveling alone, will it be stricter? Considering I have all the requirements, which part should I be careful at? Is it better if I will be sponsored by someone from the country I will be visiting or just don’t mention anything at all? Thank you in advance. Based on experiences of friends and our readers, they are stricter if you know someone in Europe. Traveling alone isn’t an issue for as long as you meet all the requirements satisfactorily. Hi. Thank you for responding to my queries. Is it better if I join a certain tour package or I can do my DIY itinerary? Thanks again in advance. DIY is fine. What we usually recommend is booking the flights and hotels on your own and then join group tours when you’re there. But I think booking a tour package will give you better chances of approval sa visa. Hi yoshke. Plan ko magapply ng visa next year since my mom wants to go to Turkey, baka magGreece and France na rin kami. Diba sa pagkuha ng visa may means of subsistence per Schengen country? Sa Greece nasa 60 euros and then sa France is 130 euros. Okay lang ba na pag kukuha ng visa ang sundin namin is yung sa Greece na 60 euros? Since dun din naman yung first point of entry namin and mas magstay longer. 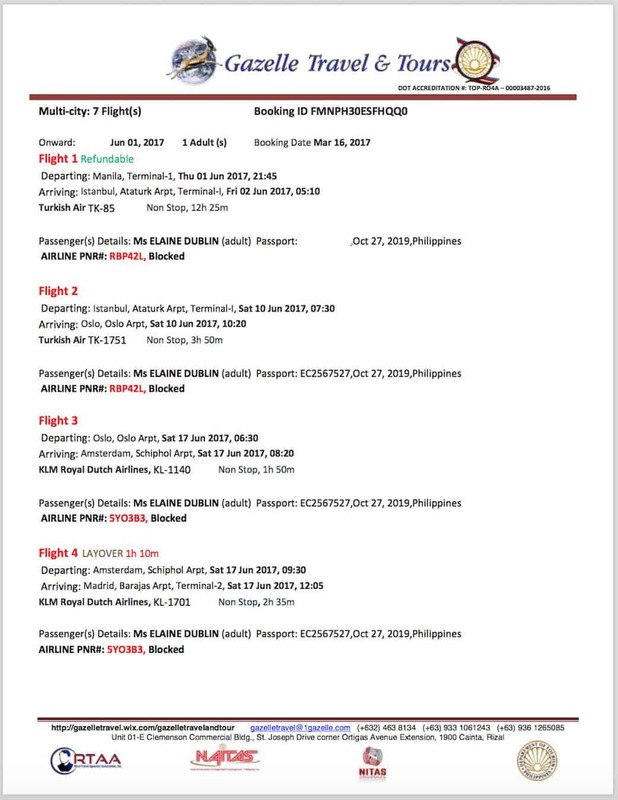 Or pag nilagay namin sa itinerary na pupunta kami France, kelangan din namin ipakita sa bank statement na may 130 euros per day kami for France? Thanks! Yung rule ng embassy kung saan ka mag-aapply yung masusunod. So rule ng Greece if sa Greek Embassy ka mag-apply. Hi Jane. Were you able to email the Greek Embassy for interview? My email is not getting through. I wonder kung may ganoong experience din and iba. Hi! i just want to ask, we’ll be going to Paris (4days)-Rome (3Days) – BArcelona (3 Days). we’ll be coming from london then going to Paris. Our flight is Manila-London-Manila. Do I have to submit the flight details (London to Paris), (Paris to Rome) (Rome to Spain) and (Spain to London)? I’m hesistant pa kasi to buy the tickets. maybe flight reservations muna for europe? Hi Donna, flight reservations lang muna. Aside from Manila-London tickets mo, pinaka-important yung Schengen entry and exit flights (London-Paris, Spain-London) kasi they need to see how you’re going to enter and leave the Schengen area. But yep, wag ka muna bili tickets. Flight reservation muna. Ano sa tingin mo mas okay? Hi Hill. It depends on a lot of factors. What’s your current employment and personal financial status? If you don’t declare that bit about your mom, will you be applying as a tourist or as someone still invited by your tita? 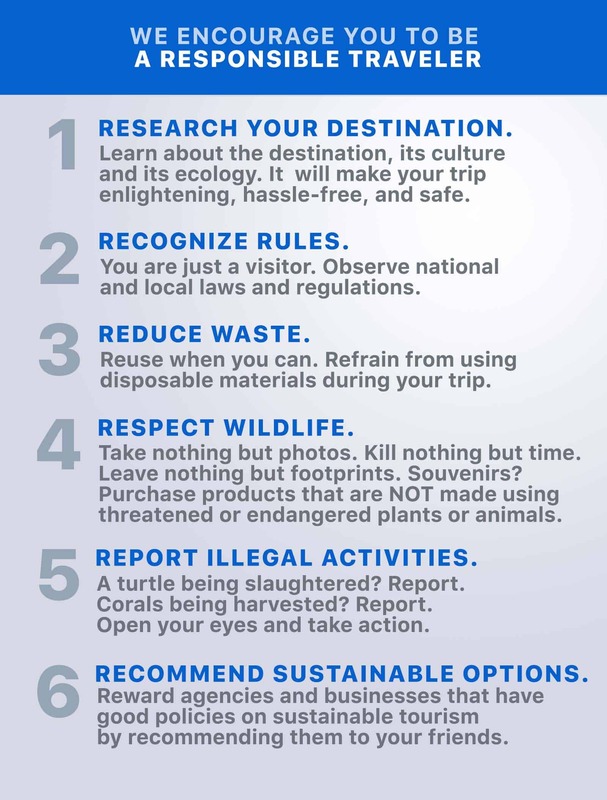 If you apply as a tourist, can your docs prove you can support a trip that long? My top-of-mind advice is to just be honest and transparent. Just say you’re accompanying your mom. It sounds like a valid reason, to begin with. Hi! Regarding “details of the trip” did the embassy asked you where exactly are you going in each country and when? did they asked you randomly or in order? Sa German Embassy, yep, they asked about specific activities pero hindi sa lahat ng countries, konti lang. And yep, randomly. Sa Greek Embassy, they asked about each activity in the itinerary, per day, in order. When I tried to bring my Filipina girlfriend to Greece, back in 2011 I think, I asked the Greek embassy about the requirements for the visa. They were vague, not specific, they just said that the girl needs to have a high-salary stable job like a doctor or lawyer, and much money in bank, and a credit card, etc,,, even if I officially invite her and host her and pay her food etc. I guess that the embassy is afraid of illegal immigration and makes the visa impossible for most Filipinos. Eventually, I married the girl, and then she applied for spouse visa and now we live happily in Greece. Hello! Thanks for posting these very useful and detailed info. May I ask what if we are booked via Airbnb? Do we declare it sa itinerary? I saw in the checklist there’s an attestation or something needed pa? Thanks in advance! Yep, you can declare AirBnB. We did before, wala naman naging problem. Just submit the reservation confirmation. Saang embassy ka nag-aapply pala? Hi Gelo, I’m afraid they don’t see it that way especially if hindi family member kasi applications are often assessed individually. Also, yung 60 euro per day, that’s the minimum but having that doesn’t guarantee anything. I’m pretty sure they’re looking for much more than that (kasi hindi believable or ideal for them if yun lang ang fund ng account). If French Embassy ka pala apply, their standard now is 120 euro per day. Hello, everyone! I just want to ask if there will be an issue if I didn’t fly to Schengen country; though, I got my Schengen visa? Then, I want to re-apply new visa and fly this time? Please, any advice. Thank you. Hi good evening.. i find this very useful. And please Allow me to ask if i need an ITR since my visit is funded by my friend? Shall i need this for proof of rootedness here in Philippines? Yes and yes. Even if your trip is sponsored by someone else, you will need to prove rootedness. Hi Chinitakee, naku, I have no idea kapag transit visa. do you have any idea if what to do or what does it mean kung over 15days na yong processing? i mean i applied last month June 11 (considered holiday nung June 12 and June 15) they said it will start ng June 13 na counted as 1st day. i don’t think kulang mga docs ko since we checked it sa Via.ph na completed naman. im worried kasi my flight is on July 16:-/ 1 almost a month na processing grabe. 1)The information submitted regarding the justification for the purpose and the conditions of the intended stay was not reliable. Saang embassy ka nag-apply? Italian? The Italian Embassy is known for being super strict. I think medyo clear naman yung reasons na sinabi nila sa pag-deny. Hindi nila sure if babalik ka ng Pilipinas before mag-expire ang visa. Usually, kapag ganyan, it’s a matter of proving rootedness (stable employment, properties in PH, etc). Madalas din na denied kapag may kakilala ka dun sa Europe tapos hindi clear ung connection mo sa kanya, hindi clear ang purpose ng trip, and hindi strong yung ties sa PH. Hindi enough na complete yung docs. They have to find it satisfactory. Tanong ko lang kung family ba mag apply ng schengen visa (italian embassy) d pa rin guarantee na ma approve? Family kc sabay na aalis ksama fiancee ko at fiancee ng kapatid ko. They can present ITR, bank statements, coe, etc. Pero problem ko lang sa parents ko kc senior citizen na cla, at wala sila itr or coe. Ako nalang nag sponsor sa kanila kase OFW ako. May 100k naman sa bank accounts nila para ma present namin sa embassy. May alam ka na ba ngayon kung ano pa kelangan documents na i.submit ng mga senior citizens? Gagawa pa kasi ako ng letter of support, lagay ko don na ako ang nagbayad ng lahat ng tickets namin at ako magbabayad ng hotel accommodations namin. Lahat kami may experience na travelling around asia. ako at mama ko may experience na din sa europe. Sa italian embassy kami mag apply kc don ung entry namin, at sa itinerary namin for 15 days nasa loob lang kami ng italy at lilibutin namin lahat ng tourist spot cities. Pero baka d namin i.follow ung itinerary. Hi Poy, an affidavit of support would be great. Submit also a copy of their senior ID. I haven’t tried applying via Italian embassy so there’s not much advice I can give. All I know is, based on experiences of my friends, they’re very thorough and strict. 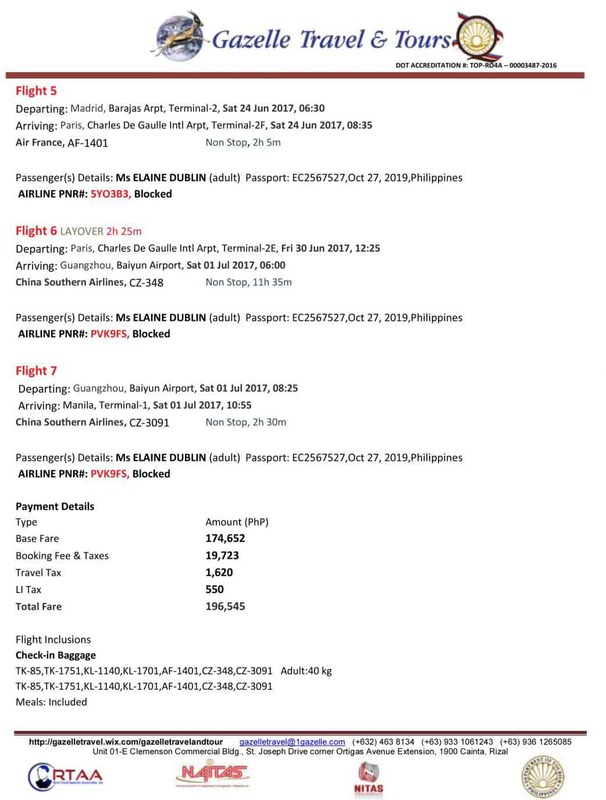 hello po sau…ako po ay ofw sa hk..i met a guy from ..he ask me to visit him…sb nya he will sponsor me…10 days tour….hanapan papo kaya ako ng bank statement..
By the way I have a question, I have a stable job naman here in Ph. And I have visited 10 countries already mostly Asia and I still have a valid visa sa Australia. My recent trip was Japan. I am planning to apply Schengen Visa Pero this time medyo “urgent” kasi. Now my problem is in my bank nasagad yung amount meaning around 10k nalang ang natitira. Pero May makukuha akong enough money para sa mga pautang ko na Pwede ko na magamit for my Europe trip. Pwede kayang bank certificate nalang ang I present instead of bank statement? Baka kasi magdoubt yung embassy if May biglaang malaking amount na idedeposit. Hi Mhai. Visa for Portugal visit is processed by the Greek Embassy and they’ve been pretty swamped lately. Try to email them first and check for their earliest available appointment. Im planning to appy for a schengen visa via french embassy, but will travel to multiple cities, ask ko lng re: don sa “number of days of travel”, kailangan ba yong buong travel sa Europe ang ilalagay don or ung no. of days lang namin sa France? we’ll be staying for a total number of 21 days (multiple cities) pero we’ll be staying for 4 days lang sa France.. Thank you for your answer. Your blog really helps me a lot. Hi Mhay, ang alam ko, yung buong stay mo sa Europe (within the Schengen zone). Hi Elie. Yes, you will still need to submit proof of your own financial status kahit na sponsored yung trip. I just want to reply on this nessage cause I just went through the same thing recently. My Norwegian boyfriend will sponsor my trip to Norway and he sent the invitation letter, Guarantee form and other needed documents. We just followed all the instructions and documents na need isubmit sa checklist. Since sponsored nya no need na for me to submit bank statements or proof of financial status (basta ma meet ng mag sponsor sayo yung minimum income pre tax per year) and when I submitted our application after 2 days I was granted a tourist visa for 3 months. My name is Fatima. I just want to ask a few questions to clarify. I am very eager in applying for Schengen Visa via Germany Embassy. I applied earlier this year, unfortunately, I got denied Now, I wanted to reapply and make sure that I provide the details in the most proper way. However, I heard some dark rumors about it. T_T I wanted to clarify if this is truth or not. My German boyfriend is the one sponsoring this travel. We’ve planned this travel for quite a long time already. However, we were advised by friends that we should not say that our relationship is a “boyfriend-girlfriend” one since it will automatically makes the embassy refuse my application. This makes me very confused since I already submitted files before stating that he is my boyfriend. Would it be easier if I say this time that he is my friend? Does it make a change or should I stick to the truth that he is my boyfriend? I understand that this is beyond your control but I would be very happy to hear an opinion from you. Hi Fatima, yes, I believe they’re much, much stricter if you’re invited by someone especially if boyfriend-girlfriend. When they denied your application, did they tell you the reason? I’m asking because I don’t think changing it to “friend” will make that much of a difference. It’s risky too because you already said he’s your bf before. When you declare that you know someone in Europe, they’re going to take a closer, stricter look at your “rootedness” — that’s your ties to PH, employment, properties in your name. If wala ring nag-change sa rootedness mo — meaning, you’ll still be submitting the same docs — I don’t think maaapprove yung application this time around. But again, that’s just my hunch. Some people na na-deny, what they do is they apply sa ibang embassy na lang as a tourist, not a visitor. Not that I recommend it because it’s also a risk and it only works if okay yung rootedness and finances mo. What happens if the flight reservation expires while the application is being reviewed? —- How long the airline can hold the reservation depends on the airline and class. Iba-iba kasi ng policy ang bawat airline. The thing is, most airlines now can hold reservations for only 24-48 hours. And I think the embassies know that. We’ve had flight reservations na nag-expire while being processed but hindi naman nagka-problem. Pero French, Greek, and German embassies yun. Hindi ko lang sure sa Italian Embassy. My guess is, it doesn’t matter to them kasi alam din naman nila yun and feeling ko, mas concern nila ung rootedness, finances and employment kaysa dun. At the very least, sana hindi pa expired nung time na nag-submit ka ng documents. You can ask the agency to issue the ticket the day before your appointment. I will be applying as a tourist instead. —- Even if you apply as a tourist, you’re still going to be asked if may relatives ka sa Italy. Parang mas dubious or suspicious if apply ka as a tourist pero may immediate family members ka dun. Baka mas maka-affect negatively? Huhu, di ko alam. Pero uyyyy, opinion ko lang ‘to ha. I’m in no way an expert in this, lalo sa Italian Embassy kasi di ko pa natry dun. I’m planning to get a Schengen visa and your post is very helpful for me. Thanks a lot. You’re welcome! Thanks too for visiting! Good luck with your application. Is it a good idea if I will tell on the cover letter the main reason I will visit Europe is to visit my boyfriend’s family? 4 years na kami together and he went here already and I never met his family. I wanted to be more personal with getting the visa. Negative ba yun for embassies? Hi Den, I’m not sure. Usually, they subject applications na may romantic connection sa Europe to further scrutiny, but at the end of the day, if strong yung proof of relationship and kaya namang magstand on their own nung financial/rootedness status mo, pwedeng maapprove pa rin naman. ng Saudi(I’m still working) Medyo hindi ok ang rootedness ng nephew ko sa pinas. Will you be applying from Saudi? Kasi if so, di ko alam ang process pag sa Saudi. Di ko sure pero ang alam ko, individually talaga ia-assess yung application. In your nephew’s case, best na ma-explain na lang dun sa form or you can even write a cover letter explaining the purpose in detail. Sorry I couldn’t be of more help. :( Hindi kasi ako ganun ka-familiar pag group application via French Embassy kasi solo lang ako nag-apply. If you’re both applying here in Manila, the French embassy through VFS Global will treat your application separately, but you could state in your cover letter that you will be traveling with your nephew. This happened to us (husband and wife) when we applied last year, I had to write an impromptu cover letter for my wife, and photocopied several documents because I assumed wrong i.e., since we’re a couple, shared documents will do (experience with UK embassy). You will also need to tweak your itinerary and make it appear that you will both leave the Schengen area together i.e., same outbound tickets. Ngwwork ako currently sa family business nmin. So wla akong employment certificate. Small business lng kc sya kaya wla ng certification na ganyan..Pwd ba explain sa cover letter na family business sya? Tpos present ko na kapatid ko mayari? Tpos support letter nlng from him? Hi Kim, ang idedeclare mo ay sponsored ka ng kapatid mo pero walang proof or legal document na pagmamay-ari yung business ng kapatid mo or na nag-ooperate ang business? Medyo mahihirapan po maapprove kung ganyan kasi naturally cynical ang mga embassies. Kailangan ng paperwork lalo na pag business, kahit small business pa yan. Meron nman pong mga permits and dti…so pwd ko sya ideclare na mgsupport sakin dba? Ung support letter ba dpat notarized? Best if may ITR kasi dun makikita yung finances ng business. Hi… Mas madali ba mag k shengen visa if sasama sa group tour? Kaso nga lang mas mahal. Mas may chance pero not a guarantee kasi kahit group tour, individually pa rin inaassess ang application most of the time. You always have the option to cancel or hindi tumuloy sa nasa flight reservation mo after the visa processing. Thanks for replying. I asked the same question to Youtube vlogger, Lyka Krystle the same day I asked you and she confirmed that FYI, its not me who will submit the invitation letter, my sponsor will email it instead along with his bank statements and passport/ID photocopy to the Italian embassy. That means a physical copy is never a thing in this situation at all, so theres no need to waste a paper here. As an applicant, I dont need to do anything else aside from helping my sponsor to fulfill the 3 main requirements. Long story short, all sponsor’s requirements go directly to the embassy, done by the sponsor. I will be applying at the Italian Embassy. The itinerary I will be submitting is MNL-FCO-MNL only. But after I get my visa, am I allowed to change my itinerary to MNL-FCO ( 8 days)-CDG ( 3 days)-GVA ( 3 days)-MNL? Will I get into trouble at the airport/immigration for changing the itinerary? Hi, I am planning to apply for Schengen visa to visit a friend in Belgium, un balak mamasyal lang sa France and Spain after a week s Belgium with her family. I have my own house, travelled few times s US and asian countries, pro wala ako work now, I got 2 kids (filipino-american) and married sa american. My friend will be sending me invitation and sponsorship letter din already signed by the mayor s Belgium. Plus his bank statements and stuff. Nakapag travel na dn kami together twice s SG. My US visa will be expired next month but I am planning to renew it next week. I am just super nervous sa EU visa ksi wala ako work. Ano kaya ippsa ko mga requirements other than the papers na ippadala. I hope somebody can help me please. Really insightful article. Just wanted to ask if you know anything about fresh grads applying for a Schengen visa? My sister and I are graduating this June and plan to go to Europe with our mother around October as a graduation gift. Is it true that it is much harder for our applications to be approved since we won’t be employed yet or enrolled anymore? We will be taking a gap break before applying for jobs (which will most likely be after the trip). Our parents will be sponsoring our entire trip, and we have a good travel history (at least 1-2 international trips every year). I already have a Schengen visa from my school trip to Italy last summer, but my sister only has a 5 year visa from Japan. Thank you and hope to hear from you! Hi Sofia, I think it’s possible to get a visa pag fresh grad lalo na kung family trip sya. You can explain that it’s a graduation gift and since kasama nyo naman yung parents/sponsors, mas believable yun if sabay-sabay yung pag-apply nyo. Bukod sa usual requirements, submit na lang din kayo ng proof na kakagraduate nyo lang recently. We plan to apply at the Dutch or Italian embassy. Anyway thanks for the reply, that eased my thoughts! Hmmm. Di ko pa natry mag-apply sa Dutch or Italian Embassy ha. Hi there. What option on the airline website should I select or go to if I’ll have multiple trips. For example, my itinerary is MNL-ROME-PARIS-BERLIN-MNL. Please help me. thanks. Hi Mark, depends on the airline. Some airline websites allow MULTI-CITY booking. Another workaround is to book via a 3rd party website like Skyscanner, Traveloka, Expedia. Hello, would u know if czech embassy is strict? hello, what if na deny ako sa French embassy and after 6months I will apply in Austrian embassy,can I still visit france for tourism? Hello, may I ask what additional documents s/he was asked to submit in lieu of the ITR? :) I am recently employed as an individual contractor / consultant so I haven’t sorted my BIR taxation yet. Thank you! Hi Aya, they called him and asked him to submit COE and ITR from previous employers instead and property titles.